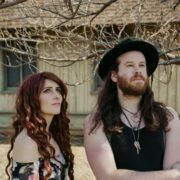 In this Crazy Tour Stories segment, the folk pop duo, Fox and Bones, share one of their stories from being on the road. On this episode of DTB’s “Crazy Tour Stories”, the metal guitarist, Angel Vivaldi, shares crazy moments from touring, while on tour with Nita Strauss and Jacky Vincent. On this episode of DTB’s “Crazy Tour Stories”, the heavy metal band, The Obsessed, shares crazy moments from touring, while on tour with Eyehategod. On this episode of DTB’s “Crazy Tour Stories”, the pop artist, Jain, shares crazy moments from touring, while on the “Souldier Tour”. On this episode of DTB’s “Crazy Tour Stories”, the country singer, Russell Dickerson, shares crazy moments from touring, while on tour with Lady Antebellum and Darius Rucker. On this episode of DTB’s “Crazy Tour Stories”, the indie pop band, Sheppard, shares crazy moments from touring, while on tour with ROMES. On this episode of DTB’s “Crazy Tour Stories”, the power metal band, Unleash The Archers, shares crazy moments from touring, while on tour with Striker and Helion Prime. On this episode of DTB’s “Crazy Tour Stories”, the indie pop band, Wet, shares crazy moments from touring, while on tour with Inc. No World. On this episode of DTB’s “Crazy Tour Stories”, the hip-hop artist, Kosha Dillz, shares crazy moments from touring, while on Warped Tour 2018.